Public Safety Minister Vic Toews says he is surprised to learn of a section of the government's online surveillance bill provides for "exceptional circumstances" under which "any police officer" can request customer information from a telecommunications service provider. Toews confirmed the bill will be sent to committee before second reading, which he said will allow for the opportunity to amend the bill beyond its original scope. Normally, bills would go to committee after a vote at second reading, but that vote sets the scope of amendments that can be made. This way, sending the bill to committee before the second reading vote will allow MPs to make broader changes to the legislation. According to Toews, the opposition will be able to "bring in as many amendments as they wish to bring forward." "If the opposition is actually really concerned about substantive issues about the bill, and if they bring those forward, I think there will be a very healthy debate," the minister said. Twitter users showed their discontent with Bill C-30 by sending Toews messages via a stream called #TellVicEverything. Using the hashtag, Twitter users detailed every aspect of their personal lives, often with sarcasm, to make a statement about the dangers of government intruding on their privacy. When asked for his reaction to the Twitter push back, Toews laughed saying it was "actually very amusing, and very pleasant that this many people would be that concerned about what I think, and secondly, that they want to tell me." "Actually some of these things are very, very funny. They're very humorous," he said. "You know, CBC should consider doing a show on it. It's really great stuff." Not so amusing to the minister was an anonymous campaign against him via a Twitter account used to post his personal information including details of his divorce. "Now what bothers me, is not so much the content of the attacks against me, but that there may be members of Parliament or a caucus that is hiding behind the anonymity of government resources to attack me personally," said Toews. 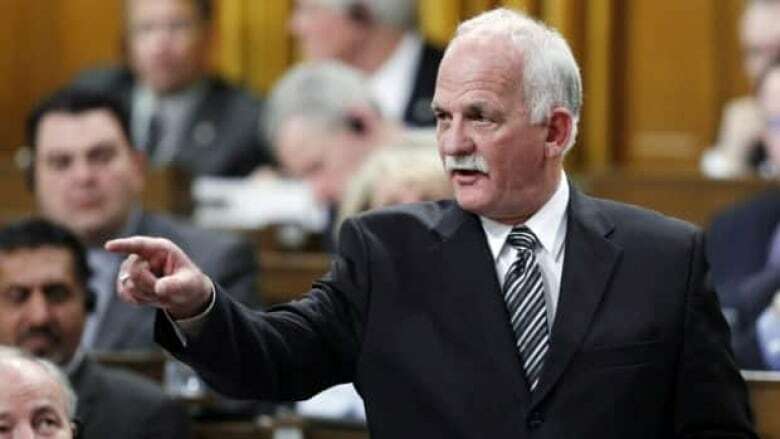 On Thursday, the results of an investigation by The Ottawa Citizen found the anonymous Twitter account was linked to an IP address originating inside the House of Commons, which Toews said could constitute a breach of his parliamentary privileges. During question period on Friday, Foreign Affairs Minister John Baird accused the NDP of having "been caught in a nasty, dirty internet trick" — an allegation the NDP has denied. Toews confirmed he would be sending a letter to House of Commons Speaker Andrew Scheer requesting an investigation into the matter. And in an open letter to constituents obtained by the Winnipeg Free Press on Saturday, Toews wrote that the attacks against him "included criminal acts and threats of criminal acts against me and my family," and have been referred to the police for investigation. Toews stepped back from controversial remarks he made last Monday inside the House of Commons after Liberal public safety critic Francis Scarpaleggia asked about the privacy concerns arising from the proposed internet surveillance bill. Toews responded by saying Scarpaleggia could "either stand with us or with the child pornographers." When asked by Solomon if he would apologize for those remarks, Toews said "I've thought about this very carefully, and if fair minded Canadians have come to the conclusion that my comments, that I made in the heat of Parliamentary debate, were not appropriate, I'm prepared to accept their judgment." Federal and provincial privacy watchdogs have also expressed their concerns with the proposed legislation. Ann Cavoukian, Ontario's Privacy Commissioner, has taken issue not only with the remarks made by Toews last Monday but with the name of the bill itself, characterising it as "disingenuous." In an interview airing Saturday on The House, Cavoukian told Solomon "it's unfortunate because it shows how weak the government's case is." "My guess is the reason they are doing this is because they don't have a strong case and in order to engage the public and their support, they have to make it about the protection of our children. According to Cavoukian, the proposed bill would create "a mandatory surveillance regime." Cavoukian says that by accessing customer information such as the client's name, phone number, IP address and subscriber data, one can find out "what web sites an individual has gone to, someone's surfing habits online, what videos they're viewing, what content they read." "You can infer, by connecting the dots of the surfing habit online, a great deal of very personal information about an individual. And I object to that kind of information being accessible without a warrant," said Cavoukian. She also pointed out that in addition to forcing ISPs to turn over client information without a warrant, the proposed bill would also demand that telecommunication service providers install surveillance capability on their networks. That's "creating a very costly venture." "That means, ultimately, the public will bear the cost," said Cavoukian. Cavoukian's federal counterpart Jennifer Stoddart also sounded the alarm over Bill C-30. According to Stoddart, the new bill contains "serious privacy concerns." "Since this broad power is not limited to reasonable grounds to suspect criminal activity or to a criminal investigation, it could affect any law-abiding citizen," said Stoddart in a statement issued Wednesday. Stoddart said her office would be undertaking a thorough review of the bill and presenting the findings to Parliament.